18 Choux pastry cases filled with stabilised cream and a pot of Belgian chocolate sauce. 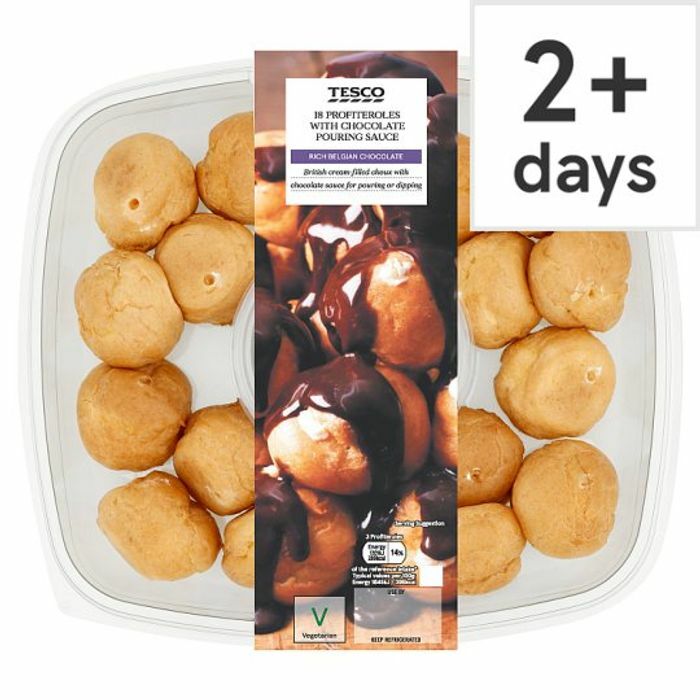 These profiteroles are so good, and always yummy on a special occasion. Thanks so much for sharing. i think at this price, we will definitely be enjoying pudding! Oh well, looks like quite a few extra calories going to be consumed. Used to love the Co op ones, they had an ALCOHOL flavoured custard ,20 year old & I used to devour them two at a time!! !